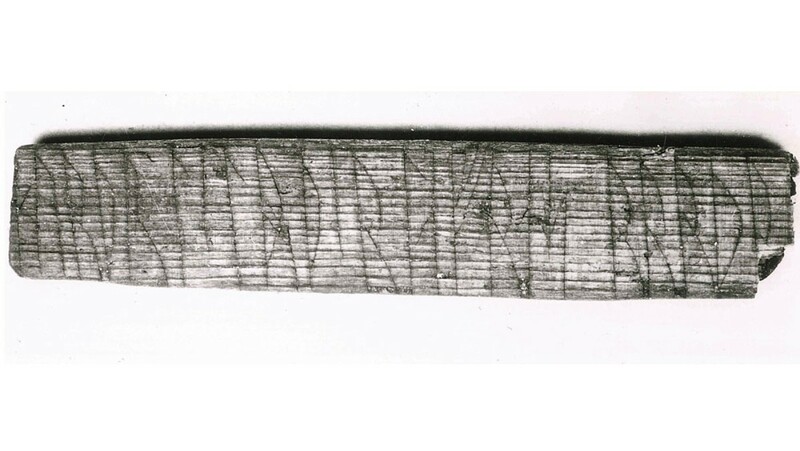 On this stick from the 1200s found in Bergen, two men named Sigurd and Lavran have written their names both in code and with regular runes. This helped runologist Jonas Nordby to solve the Jötunvillur code. For the first time, the Jötunvillur runic code is cracked. It can help to solve the mystery of the Vikings’ secret codes. Why did the Vikings use codes when they wrote runes? Was it a secret message or other reasons that they encrypted runic texts? This, we still know little about. But runologist Jonas Nordby think he may be one step closer to the solution. The rune expert has managed to interpret a code called Jötunvillur which for years has puzzled researchers. The discovery could help us understand the purpose of the codes. – It’s like solving a riddle, Nordby says to forskning.no. – Gradually I began to see a pattern in what apparently were meaningless combinations of runes. The Vikings and Norse medieval people often engraved runic codes on wooden sticks, stones and other objects. The codes exist in many forms and contexts. They are found throughout Scandinavia, the British Isles and in other places where runes were in use. – It was very common to use codes, and large parts of the population knew how to use them. Therefore, I think it was something you learned while studying runes. If you had learnt to read and write, you also had learnt codes, Jonas Nordby says. Nordby, who now is taking a PhD in runes, is the first to have examined all the findings of runic codes in northern Europe, about 80 inscriptions. During his doctoral studies, he has traveled to several countries and studied runic inscriptions from 800 AD and later. – Many believe the Vikings used cryptography to hide secret messages. But I think the codes were used for playing and learning, rather than to communicate, Nordby says. One of the reasons he can make this claim, is that the Jötunvillur code is written in a way that can be interpreted in different ways. – Jötunvillur is only possible to write, not read. It gives no sense that it was used for messages. That is why he has looked at other ways to use it. Nordby believes the Vikings memorized the runic character names by using the Jötunvillur code. All runes have a name, and the Jötunvillur code is to replace the runic character with the last sound of the runic name. For example, the u-rune “urr” becomes r. The problem is that several runic characters have names that end with the same sound. This makes it difficult to know which character the code is referring to. Nine of the approximately 80 coded runic inscriptions Nordby has studied are written with the Jötunvillur code. The other inscriptions are written in cipher runes and by using the Caesar cipher. These two codes have been known to researchers for some time. Cipher runes is the most common code. Nordby believes that the cipher system was used in rune training. By counting the character’s number in the runic alphabet Futhark, you learned the order of the alphabet. The Caesar cipher is named after the Roman emperor Julius Caesar. The idea is to replace a runic character with another in the runic alphabet, moving systematic one, two or three places up or down in the alphabet. Other runologists also believe that Nordby’s theories are correct. 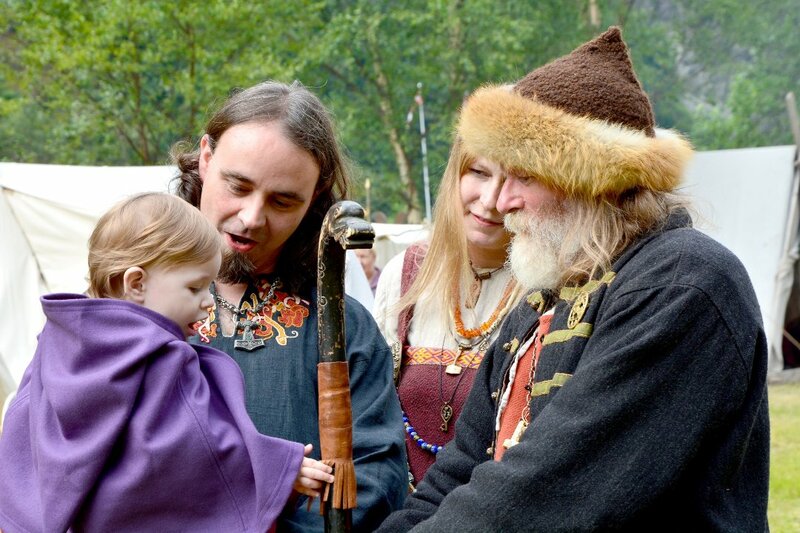 – Several researchers have argued that rune codes were used as a sort of game, but Nordby is the only who has validated the entire runic material, says Assistant Professor Terje Spurkland at the Department of Linguistics and Scandinavian Studies at the University of Oslo. – Runic codes were the medieval answer to Sudoku, he says. Spurkland has supervised Nordby in his work with the doctoral degree, and says the findings confirm what most runic researchers believe: The codes were not about magic or secret messages. Although there are examples of religious use, the codes are often used in everyday contexts. But the big question is: Have we found the important runic texts, or only fragments of everyday life? Thank you so much for reblogging! More articles to come about the fascinating Viking Age.